Tom and Audrey discussing Jane Austen and Lionel Trilling. This film has always been special for me, somehow even before I had seen it. I saw the trailer during the Christmas break of 1990 at the cinema Sergelteatern in Stockholm. I was there with my mother and after the trailer I turn to her and said "I want to see that one. It looks really good." I do not remember which film it was we were there to watch, and it is the only memory I have of seeing a trailer for the first time. For unknown reasons the trailer for Metropolitan (Whit Stillman 1990) made an unforgettable impression. When the film did come out in Sweden in early 1991 I saw it but I have no memory of that, or of where I saw it and with whom. The trailer had had a more powerful impact. Maybe it was just timing. Now, after having watched the film so many times over the years, it has become a part of me, frequently on my mind. The acting is a bit stiff, or awkward, at times but the dialogue is wonderful and so is the film's general sense of melancholia. There is a quiet sadness to the film, and to several of its characters, sprung from a desperate belief that there must have been better times then these, because what kind of life is this? If this is all we have got then finding pleasure in thinking about an imagined past might be what keeps depression at bay. But maybe all is not lost. The last scene, of three friends lost by the beach at Southampton, is both wistful and hopeful. One era is definitely over but maybe their friendship will survive. At least it is pretty to think so. 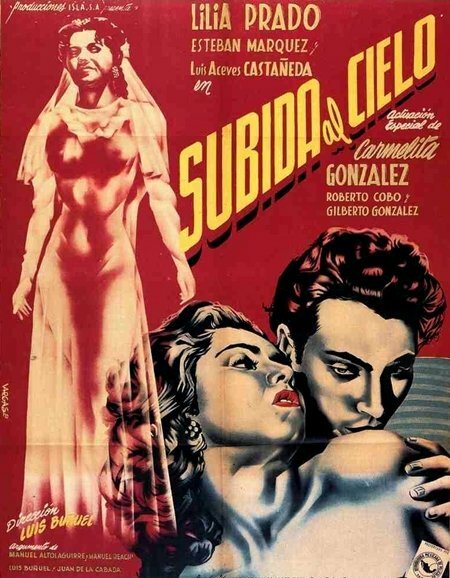 One of the countries and eras I am most interested in exploring further is Mexican cinema of the 1940s and 1950s, often referred to as the "golden age" of Mexican cinema, when several hundreds of films were made. So far I have seen very few of them, and the few I have seen have almost all been directed by Luis Buñuel. I have probably seen more films from the U.S. from that time which were shot entirely in Mexico, such as John Ford's The Fugitive (1947), than I have seen actual Mexican films, and that is clearly my loss. In particular I would like to explore the films of Emilio Fernández, of whom I have only seen The Pearl (1947), and possibly all films shot by Gabriel Figueroa. (They both participated on The Fugitive, which Figueroa shot.) Until the day comes when the films become readily available Buñuel will have to do, and it is not a bad start. He is no particular favourite of mine but if I had to choose a part of his career it would be the Mexican one. Many disagree, including Buñuel himself, but films such as Los olvidados (1950) and Simon of the Desert (1965) are among his very best, and Exterminating Angel (1962) could be seen as the apotheosis of his career. 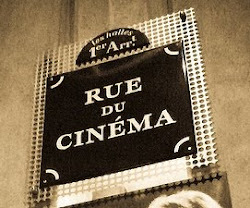 Maybe his late work, in France and Spain, has been overemphasised by the same reason that it used to be argued that directors like Fritz Lang or Max Ophüls, or even Hitchcock, did their best work in Europe; Eurocentric snobbery unrelated to the actual value and meaning of the films themselves. 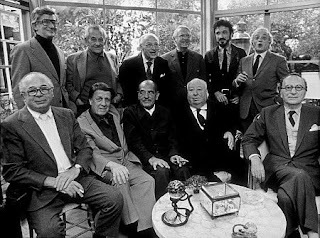 When Buñuel is discussed it is often as a surrealist and as a heckler of the bourgeoisie and the Catholic Church. But that is incomplete. During his long and varied career he made all sorts of films (21 of which are Mexican productions) and they are not all surreal, and Buñuel's targets are not just the bourgeoisie and the clergy. Few are beyond his ridicule and criticism; it is hypocrisy, selfishness and vanity in general he is after, regardless of who is guilty of it: peasants or priests. What the films all, almost, have in common though is their precise, pointed style. Not a scene, shot or spoken word is out of place or unnecessary, everything carefully judged to maximise the impact as quickly as possible and, despite the dreams and the surreal touches, it is for the most part an unobtrusive and discrete style. 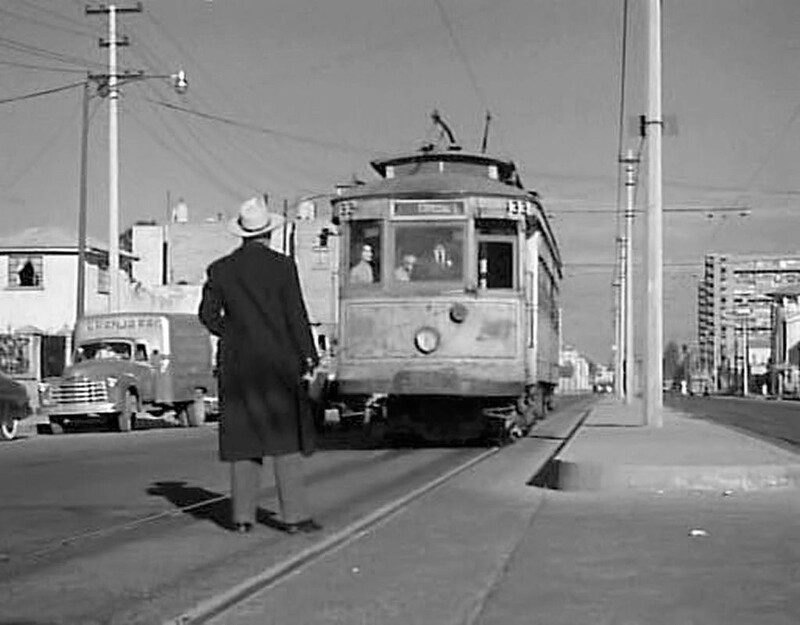 One I have a particularly fondness for is the 1954 film Illusion Travels by Streetcar. It was a studio film, produced by CLASA, and written by Luis Alcoriza. He wrote or co-wrote most of Buñuel's Mexican films and might be said to be the equivalent of Jean-Claude Carrière from Buñuel's (second) European phase. The film is about two employees at the streetcar company who after a party, when they are drunk, borrow a streetcar that is to be decommissioned, number 303, and go for a ride in it. The next day they are unfortunately unable to take it back unnoticed because they are constantly interrupted by people believing it is in service and wanting to use it, or believe it is the one they have chartered for a school trip. There is a similarity here with the dinner guest unable to leave the room in which they have dined in Exterminating Angel or the way the six characters in The Discreet Charm of the Bourgeoisie (1972) are interrupted every time they try to have a meal. But Illusion Travels by Streetcar is not about the bourgeoisie but primarily about the poor and the working class, although it provides a cross section of the people of Mexico City. There is no overt surrealism, but there are certainly Buñuelian motifs sprinkled throughout the film. It also has a gentle humour and a fine sense of the spaces of the city. (The cinematographer was not Figueroa but Raúl Martínez Solares.) There is also a long section of the film which is a stage performance of a religious play, a form called pastorela, based on the Bible, which is performed at the party in which the two men get drunk and decide to take that one last drive in their beloved 303. The play is sincere but rather absurd whereas the film itself is rather sweet and playful, and with a pointed political message. Of the handful of Buñuel's Mexican films I have not yet seen there is one in particular I am curious about: Mexican Bus Ride (aka Ascent to Heaven 1952), made with the same female lead, Lilia Prado, as Illusion Travels by Streetcar but with a different crew. But I am curious of so much of Mexican cinema in general of that time. There is always so much more to explore. It would be interesting to research other nomadic directors with South American connections, comparable to Buñuel, such as the Argentinian Hugo Fregonese, who made films in Argentina, the U.S. and Europe, or the Brazilian Alberto Cavalcanti who began making avant garde-films in continental Europe in the 1920s and then moved to Britain, joined the GPO film unit and then became a part of the Ealing team before returning to Brazil in the 1950s. See an earlier post by me about GPO here. For unknown reasons it is sometimes claimed that Buñuel was the first to use a freeze frame, in Los olvidados. That is of course not true at all. Earlier the same year Joseph L. Mankiewicz used it to great effect in All About Eve for one thing, but it had appeared on occasion for many years. Another prominent example is in It's a Wonderful Life (Frank Capra 1946). Buñuel, seated in the middle, with friends.